Why are we meeting with the people responsible for killing Americans? On May 28 –- Memorial Day –- U.S. ambassador to Iraq Ryan Crocker sat down with his Iranian counterpart in Baghdad for the first official talks between the two countries in over two and a half decades. Mr. President, what were you thinking? While you are visiting Arlington National Cemetery honoring America’s fallen warriors, your ambassador is sitting down with the representative of a pariah regime that has American blood on its hands – including the blood of those same warriors we remember on that holiday. An American diplomat meeting with the likes of Hassan Kazemi Qomi on any day is problematic, but to do so on Memorial Day is an insult to anyone who has ever worn a uniform. 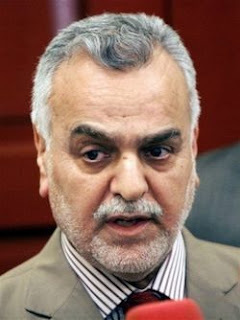 Kazemi is a former member of the Islamic Revolutionary Guard Corps Qods Force, the Iranian special forces group that is involved in the training and arming of Iraqi Shia militias, particularly the jaysh al-mahdi (Mahdi Army) of radical anti-American cleric Muqtada al-Sadr. The Iranian-supplied weapons include the explosively-formed penetrator used in roadside bombs that have killed over 100 U.S. soldiers. Of course, the Iranian ambassador denied any support to the Shia militias – what did you expect him to say? Why are we meeting with the people responsible for killing our troops? I know why the Iranians want to meet with us. Anytime a pariah nation like Iran can convince the United States – the only remaining superpower – to meet as equals, it bestows legitimacy on that regime and provides a platform for hurling insults veiled as diplomacy. It also sends a chilling message to the moderate, Western-aligned Gulf Arab nations, as well as Jordan and Egypt, that Iran is fast becoming “the” power broker in the Persian Gulf. An American ambassador meeting with an Iranian ambassador seems to underscore that status, something Iran has been seeking for a long time. During the meeting, Kazemi offered his country’s assistance to train and equip the Iraqi army and police. This is great: the organization responsible for supporting some of the worst violence in Iraq – sectarian fighting between the Sunni and Shia Muslims – is going to come in and solve the problem? To be sure, they just might “solve” the problem, but do we really want that kind of solution? Do we really want Shia-dominated security and military forces imposing Iranian values on the entire country? Let’s remember who we are talking about – the Iranians. These are the people that created Hezbollah in Lebanon, seized the American embassy in Tehran, took American diplomats hostage, murdered Marine Lt Col Rich Higgins and CIA officer Bill Buckley, continue to support a variety of terrorist organizations – Hamas and Islamic Jihad included –- and are pursuing a nuclear weapons program. Not exactly the best recommendation for potential negotiators. However, Mr. President, if you absolutely insist on talking to –- and I mean talking “to” not “with” –- the Iranians, start acting like the leader of a superpower instead of treating these thugs as equals. I do agree with your position that any talks should be limited to the security situation in Iraq. Here are suggested talking points: Stop providing weapons and training to Iraqi militias. You can deny it, but here’s a news flash -- we don’t believe you! You have American blood on your hands and we will no longer tolerate it. Your diplomatically-protected facilities in Iraq are nothing more than operating locations for the Qods Force. That has to stop -– either you stop it or we will. Say it, mean it, then do it. NBC Investigative Producer Bob Windrem has written an excellent article, What's next for refocused al-Qaida 3.0?. It's a well-researched piece, as usual for Bob, and is a good read - not because he quotes me, but because he looks at all sides of the issue. The British Chief of General Staff announced on Wednesday that Prince Harry, or in this context more properly Lt. Harry Wales, will not deploy to Iraq with his unit, a squadron of the Blues and Royals Regiment. The prince is a reconnaissance troop commander in charge of four Scimitar armored vehicles and 12 soldiers. Several months ago, soon after it was announced that the prince’s unit was scheduled for deployment to Iraq, insurgent groups – both Sunni and Shi’a – threatened to kidnap (some threaten to mutilate) the young royal. Harry, to his credit, insisted that he be allowed to serve as any other British officer. That’s admirable, but naïve. Harry is not “any other British officer;” he is third in line to the throne of the United Kingdom. The ramifications of him being taken hostage far outweigh his desire to serve. The threats go beyond the prince himself. His presence in Iraq would put at risk anyone around him. His unit would be singled out for increased attacks in an attempt to get at him. British forces in Iraq have come under increased attacks in the recent months, and units that use the Scimitar armored vehicle have been attacked repeatedly. The fact that Harry was to command four of these vehicles has been widely reported. It is no secret that if you want to kill or capture the prince, these are the vehicles to hit. Given the threats made specifically against the prince and the risk that his presence would be disruptive to the British units in Iraq, removing Prince Harry from the deployment roster was the only decision the Ministry of Defense could make. This decision raises a whole host of questions about “the royals” and military service. The British monarchy has a rich history of military service. Harry’s uncle, Prince Andrew, served as a Royal Navy helicopter pilot in the Falklands War. His grandmother, Queen Elizabeth II, trained as a driver during World War II, and his grandfather, Prince Philip, saw combat while serving in the Royal Navy. Harry’s father, the heir apparent to the throne, served for a total of five years in the Royal Navy and Royal Air Force. Prince Harry/Troop Commander Wales was commissioned in 2006 after attending a year-long course at the Royal Military Academy at Sandhurst. After that, he attended British Army training schools to become a troop commander. He was assigned to the Blues and Royals, he trained and bonded with the men he was to lead. Now those men will either not deploy to Iraq, or they will deploy without their commander and have to re-bond with another officer. The British military is small, considered too small by some to meet Britain’s international commitments. Therefore, the British forces must be used effectively. Having an officer that cannot deploy to certain areas complicates planning for commanders. He trains with his unit, but cannot serve with them when needed. Another consideration is perception. The British are perceived in the Middle East to have backed down in the face of threats. It sends the wrong message, not only to the insurgents, but possibly to a segment of the British population as well—our sons and daughters can serve, but not Harry? Inside the British forces, he will be regarded as someone who wants to play soldier, but can’t be a soldier. I applaud the prince for wanting to serve, for insisting that he deploy to a combat zone, that he be treated as any other British officer. The reality is that he is will never be – maybe “cannot be” is a better phrase – treated like any other officer. It is a factor of genealogy, not honor or integrity. That fact places an unfair burden on his commanders and fellow soldiers, now and in the future. Other than tradition, keeping him in the British Army makes little sense. This is not about Lt. Gen. Douglas Lute; by all accounts, he is a fine officer. This is about the need—or perhaps more importantly the wisdom—of creating such a position. We already have a czar for America’s wars – he’s called the Secretary of Defense. And we already have a war czar for the conflicts in Iraq and Afghanistan – he’s called the Commander, U.S. Central Command (COMCENT). This is exactly how we got into the situation we now face in Iraq. The administration was so anxious to put a civilian face on the invasion of Iraq that it appointed a civilian administrator before the bullets stopped flying. 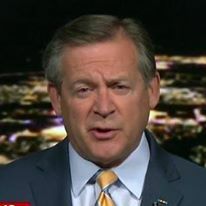 We all know how well that turned out – Ambassador Jerry Bremer disbanded the Iraqi army and botched the security situation so badly that we are still there four years later fighting an insurgency that threatens to erupt into a full-scale civil war. Maybe if we had let the generals prosecute a war instead of letting an administrator manage the “transition” prematurely, it might have been over by now. So, to continue the failed policy of portraying this as a political effort rather than the war that it is, the president appoints an Army general to the National Security Council to oversee the efforts of the Defense and State departments. For those of us who served at the Pentagon in the late 1980’s, this is reminiscent of the tyranny of the National Security Council when field-grade military officers assigned to the White House dictated “policy and implementation” to the generals. We all know how that worked out. Anyone remember Iran-Contra? We are fighting a war and we have a defined chain of command. The Constitution establishes the president as the commander in chief. The Goldwater-Nichols Department of Defense Reorganization Act of 1986 establishes the military chain of command from the president (the commander in chief) to the Secretary of Defense, to the combatant commander, in this case COMCENT. What happens when LTG Lute calls the Secretary of Defense (or State) and directs something be done and the Secretary disagrees? This sets up confusion and confrontation inside the administration. Then it has to go to the president for resolution. Instead of creating yet another layer of authority between the president and troops in the field, how about some clear unambiguous direction to the Secretary of Defense and the field commander? The commander of the Central Command and the commander of Multinational Forces-Iraq need to hear orders loud and clear directly from the president and the Secretary of Defense, not guidance from an advisor. In January 2002, President Bush declared that Iraq, Iran and North Korea constituted an “axis of evil.” He was close, but not quite correct – the actual members were, and remain, Syria, Iran and North Korea. Labeling these countries an “axis” implies cooperation between the members. Iraq was not part of any relationship with Iran or North Korea. Granted, Iraq was a problem, but not part of an “axis.” However, there are ongoing relationships between Syria, Iran and North Korea that have been going on for decades which might constitute one. Syria and Iran have been allies since 1982. About a year and a half after Saddam Hussein ordered the invasion of Iran, Damascus and Tehran signed an economic pact that provided Syria with subsidized Iranian oil. In return, Syria shut down Iraq’s main pipeline to the Mediterranean, squeezing Iraq economically. It was this Syrian-Iranian alliance that provided Tehran with access to Lebanon. In 1982, the Iranian Islamic Revolutionary Guard Corps entered the Bekaa Valley, organized the Shia and created Hezbollah. The international airport in Damascus continues to be the transshipment point for Iranian weapons into Lebanon. It is about a 30 minute drive from the airport to the Lebanese border and into the Bekaa Valley. When I was the air attaché at the American embassy in Damascus, it was not unusual to see crated cargo from Iranian military aircraft being loaded onto trucks bearing the Hezbollah emblem. Neither the Syrians nor the Iranians seemed concerned doing this at the civilian cargo terminal in direct sight of the passenger terminal. The supply line, used to supply not only Hezbollah, but Hamas and Islamic Jihad as well, was critical to Hezbollah’s performance during the war with Israel in the summer of 2006. Without Iranian support, these groups would have trouble surviving. Iran’s ability to support them is dependent on its relationship with Syria. The relationship was formalized into a defense pact between the two countries and renewed in 2006. It provides for mutual defense and joint intelligence operations against Israel. Syria and North Korea have had a relationship since at least the early 1990’s. In northern Syria, North Korean technicians manned a missile development facility and provided Syria with the North Korean produced SCUD-C ballistic missile. The North Korean military attaché was involved in marketing North Korean weapons and training to the Syrian military. Iran and North Korea have had a close relationship for years in the field of military weapons sales and development, at least as far back as the Iran-Iraq war of 1980-1988. Soon after Iraq invaded Iran, Iran realized that it needed to acquire arms from other than their traditional sources. Those sources dried up after the Iranian Islamic revolution in 1979 that saw the Iranians take over the American Embassy and hold dozens of diplomats hostage for over a year. The 1980-1988 Iran-Iraq war, which pitted two oil giants against each other, was too lucrative for weapons producing nations to ignore. In 1983, the United States began Operation Staunch to put pressure on nations whose companies were selling arms to Iran. It was effective with countries that cared about their relationship with the United States. North Korea was not one of those countries. The United States suspected that North Korea was a long-time supplier of weapons to Iran. Real proof came in 1988 soon after the Iraqis retook their Al-Faw peninsula from the Iranians. In 1988, I was a liaison officer to the Iraqi armed forces. 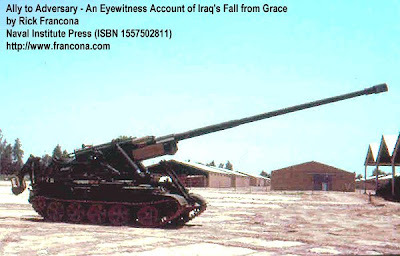 While there, we discovered that the Iraqis had captured a strange self-propelled artillery piece that they could not identify. What the Iraqis had captured was a North Korean KOKSAN gun. At that time, the KOKSAN was the longest-range field gun made anywhere in the world. It had been used by the Iranians to conduct harassment fire from the Al-Faw Peninsula into Kuwait's northeastern oil fields to punish Kuwait for supporting Iraq. Following the end of the Iran-Iraq war, Iran embarked on a militarization program across the board. In addition to purchasing North Korean missile systems, they developed their own with North Korean technology and assistance. Such an Iranian missile, supplied to Hezbollah, was used to damage an Israeli naval vessel during the 2006 war in Lebanon. Iranian surface-to-surface ballistic missile development bears an uncanny resemblance to North Korean systems. Some are almost identical. It is this type of close cooperation that had analysts concerned when reports surfaced of Iranian Islamic Revolutionary Guard Corps officers observing the North Korean nuclear weapons test in October 2006. Three pariah nations, one with oil, one with missile and nuclear weapons expertise, and the third with access to three of Israel’s worst enemies – that’s a formidable axis of evil. Since Ambassador Bremer dismisses anyone who dares criticize his disastrous decisions as “usually people who have never visited Iraq,” let me assure him that I have been to Iraq, and over a longer period than him. I served at the American embassy in the late 1980’s, was a liaison officer to the Iraqi armed forces, participated in the CIA’s operations in Iraq in the 1990’s to remove Saddam Husayn. Some of those operations entailed talking to the very army that Mr. Bremer disbanded, officers who were committed to being the new army of Iraq. That was the deal – don’t fight, work with us and be part of the future of the country. Many agreed - Bremer pulled the rug out from under them, putting 80,000 angry officers out of work. Ever wonder how the insurgency was born? I don’t fault Mr. Bremer or the Defense Department for the de-Ba’thification order, but the disbanding of the army is probably one of the most damaging blunders in American Middle East policy since we failed to hold Iran accountable for taking over the embassy in Tehran in 1979 and holding American diplomats hostage. Comparing himself to General Eisenhower is a bit much. He was wrong then, and he’s wrong now. According to recent news reports, Iran would like better relations with North Korea. Both have attained the status of pariah nations and both were sanctioned by the United Nations in 2006 for their nuclear research programs. The Iran-Iraq war which pitted two oil giants against each other was too lucrative for weapons producing nations to ignore. In 1983, the United States began Operation Staunch to put pressure on nations whose companies were selling arms to Iran. It was effective with countries that cared about their relationship with the United States. North Korea was not one of those countries. The United States suspected that North Korea was a long-time supplier of weapons to Iran. Real proof came in 1988 soon after the Iraqis retook their Al-Faw peninsula from the Iranians. In 1988, I was a liaison officer to the Iraqi armed forces. While there, we discovered that the Iraqis had captured a strange self-propelled artillery piece that they could not identify. The only thing they knew was that it was designed to fire 170mm rounds, an odd caliber. What the Iraqis had captured was a North Korean M1978 KOKSAN gun. At that time, the KOKSAN was the longest-range field gun made anywhere in the world, capable of firing a rocket-assisted projectile to a range of almost 60 kilometers. It had been used by the Iranians to conduct harassment fire from the Al-Faw Peninsula into Kuwait's northeastern oil fields to punish Kuwait for supporting Iraq. Its real purpose was to range the South Korean capital of Seoul from north of the Korean demilitarized zone, the DMZ. Following the end of the Iran-Iraq war, Iranian military development was a low priority, but in the 1990’s that changed. Iran embarked on a militarization program across the board. In addition to purchasing North Korean missile systems, they developed their own with North Korean technology and assistance. Such an Iranian missile supplied to Hizballah was used to damage an Israeli naval vessel during the 2006 war in Lebanon. The Iranians claim they want better political, economic and cultural ties with North Korea. Sure. Two pariah nations, one with oil, the other with missile and nuclear weapons expertise - I think we know what this is about. The governor of Kansas claims that recovery efforts in the tornado-devastated town of Greensburg are being hampered by shortages of Kansas National Guard equipment – Humvees, front loaders, trucks – currently deployed to Iraq and not in her state. Okay, let’s get the politics out of this up front. I am not sure how much her party affiliation – she is a Democrat – plays into her remarks. It does make a nice sound bite and checks the “attack the administration” block. That said, she has a point. When the governor complains that much of the Kansas National Guard’s equipment is in Iraq, including 15 of its 19 Blackhawk helicopters, she is describing a symptom of a larger problem that goes far beyond Kansas, and far beyond the present situation. The problem is lack of serviceable equipment and it is not limited to the National Guard and reserves. On average these units have only 40 percent of their authorized “TO&E” – table of organization and equipment – and it is not in the best of shape. The Guard is supposed to get $21 billion for new equipment over the next five years – basically a band-aid fix. Our regular forces fare only a bit better. The five-plus year “global war on terror” has taken its toll on military equipment, especially on the vehicles assigned to the ground forces. The problem is most acute in Iraq, where constant improvised explosive device attacks, combined with a harsh operating environment, have degraded the normally robust Humvees. Modifications to the Humvees to make them fighting vehicles (something they were not designed to be) have added weight and changed the driving characteristics dramatically, and shortened their service life. Many, if not most, need to be replaced. Units rotating back to the States often leave most of their Humvees in Iraq. Whether you agree or disagree with the presence of U.S. troops in Iraq, the fact is that American troops are deployed in a combat zone. Combat operations are tough on equipment, and equipment is expensive. It must be replaced at a much higher rate than during peacetime training rotations. For whatever reason, we have not done that. The administration is reluctant to request the actual funds that are required to keep our forces equipped at the optimum level. Yes, the figure would be shocking, but would you deny an American soldier or Marine the very best hardware, and enough of it? Of course not. As I have noted in the past, our armed forces are too small to protect the worldwide national interests of a superpower. One half of one percent of our population in uniform is not enough if we are to fight essentially two wars, maintain forces in other potential hot spots, support relief efforts, provide forces for United Nations commitments, and still have adequate reserves to respond to emergencies at home. I chose the words “adequate reserves” carefully. In the final analysis, the National Guard is a reserve component of the United States Army – about half of the Army’s combat units are in the National Guard. While the governor is correct that twenty percent of the Kansas Army National Guard is deployed to Iraq, its primary mission is to provide forces for the United States Army. It is the federal government that funds the National Guard, not the governor. What is a governor to do when his or her state’s Guardsmen are deployed on federal service? The governor of each state is authorized to organize, train and equip a State Defense Force, not subject to federal service, to be used specifically when the National Guard is away. Kansas has such a force; I assume the governor has mobilized them. When all is said and done, the United States needs a larger Army. Until we reestablish an adequate force level to meet the requirements levied on our active duty armed forces, we will continue to call up the National Guard and reserves.